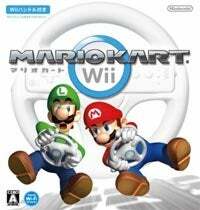 Nintendo's mascot racin' funfest Mario Kart Wii cannot be toppled, even by the crossbow powers of Link. Zelda's constant savior aimed for third on the Japanese sales charts with Link's Crossbow Training, Mario Kart Wii and Monster Hunter Portable 2nd G still holding tight at numbers one and two for the fourth week in a row. Wii Fit and Monster Hunter for PSP are on the cusp of hitting the 2 million mark, just as Wii Sports prepares to ship its 3 millionth copy in Japan. Impressive. For the rest of the best sellers for the week of April 28 to May 4, keep on kartin'.